It doesn't matter if it's from an extract or from the actual nut itself, I find the flavour of almonds irrevocably irresistible. In a lot of recipes, I'll often use pure almond extract in place of vanilla. The scent, the flavour, the subtle bitter edge that hits right at the end, I just love everything about almonds. If an almond could somehow morph into a human, I would marry him. 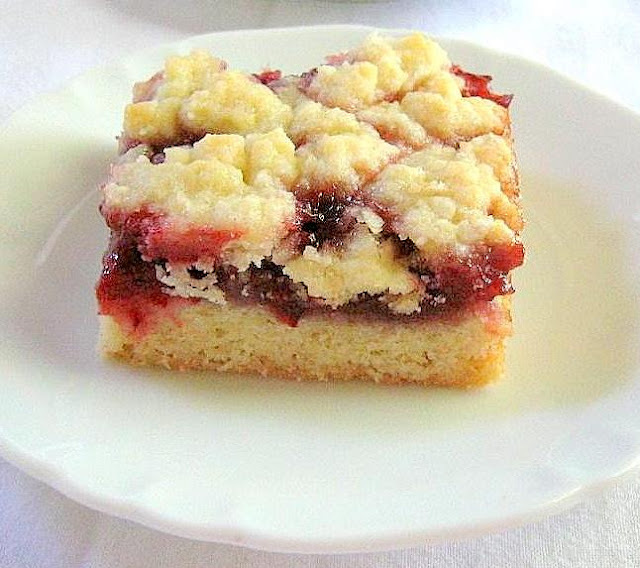 I know there are countless recipes for fruit/nut bars floating around, but I will never get sick of them. My favourite almond partner is, without a doubt, the raspberry. Raspberries look gorgeous and delicate, but they know how to hold their own in almost every kind of dessert and even a few savory recipes. I love that kind of spunkiness and off beat sense of humor in my food, and in people. I'm not even jealous of them for moving in on my beloved almonds. These bars are the perfect Summer dessert (you may hear me make that claim several times in the coming months.) 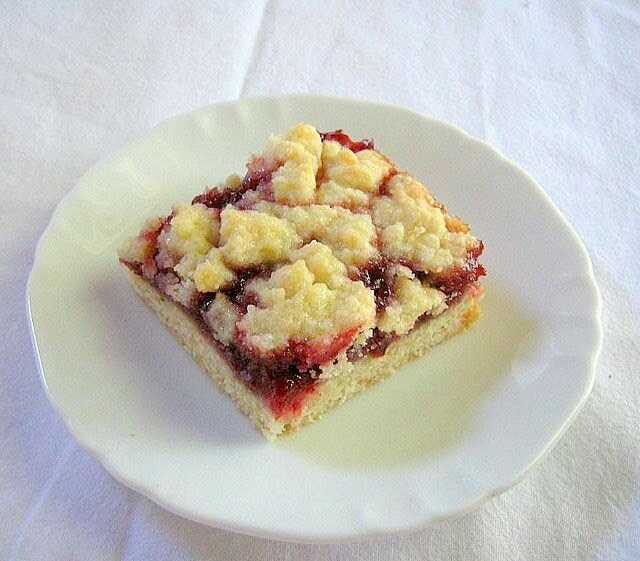 But really, few things can surpass a rich buttery crumb combined with tart raspberries and the acerbic wit of almonds. These practically melt in your mouth as soon as they make contact. Plus, they are quite easy on the eyes. Brains, sarcasm, and looks. Just my kind of... dessert. Preheat the oven to 375°F. Line a 13x9-inch baking pan with foil (shiny side facing up.) Allow the ends of the foil to hang over the edges for easier removal. Grease or spray the foil. Set the pan aside. In a large bowl, whisk together the flour, 1 cup of sugar, baking Powder, and salt. Add the pieces of butter and cut them into the dry ingredients until mixture resembles coarse crumbs. I found that it was easier to rub the butter in with my fingertips, just try and be quick, you don't want the butter to melt. Stir in eggs, almond extract, and almonds. Press two-thirds of the mixture into the prepared baking dish. In a large bowl, combine cornstarch and remaining 1/4 cup of sugar; add berries and gently toss. If you are using frozen berries, don't thaw them. Break them up, and toss them with the cornstarch. Spoon over crust. Bake for 30-40 minutes or until bubbly and golden brown. Cool on a wire rack. Once they are cool, lift them out of the pan with the ends of the foil. Looks gorgeous, I like your style. Ooh Valerie, I think your bars are always something that take me aback. They are always so pretty. These sound delicious, and it's dessert time here and we have nothing (smile)! I absolutely love almond flavoring. These are wonderful. Once again, you tempt me with your delicious photos and recipes. I love raspberries, and this looks irresistible. I have frozen raspberries so will have to try this one very soon. I have a pint of raspberries just waiting to be used up in my fridge before they go bad. I think I know where they'll end up now! I love raspberries and almond together. Your bars are beautiful. Those are so pretty with the all-white background, Valerie! I love raspberries and almond together. I make a muffin with almond paste and raspberry jam everyone adores. 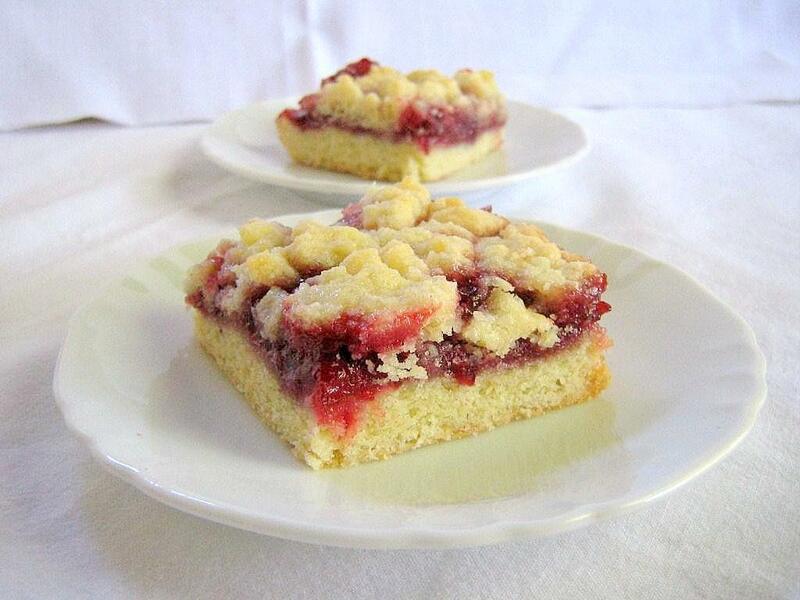 Love that you are using fresh raspberries. My garden club will love these. Copying your recipe now! Sanp- what freat presentation. Very tempting! I think these sound perfect! Great photo! I love almonds in all forms, and raspberries are one of favourite fruits. But couldn't you get just a bit of rhubarb in there? Very pretty! I love almond flavoring - LOVE it. I'll have to make these. You are so right raspberries and almonds are a sublime combination. oooh my kind of bar! Thanks for this recipe! I made them tonight (with frozen blueberries and raspberries) and included the almonds - it was a hit at our 4th of July bbq. I just made these and they are delicious! Thanks for posting it!